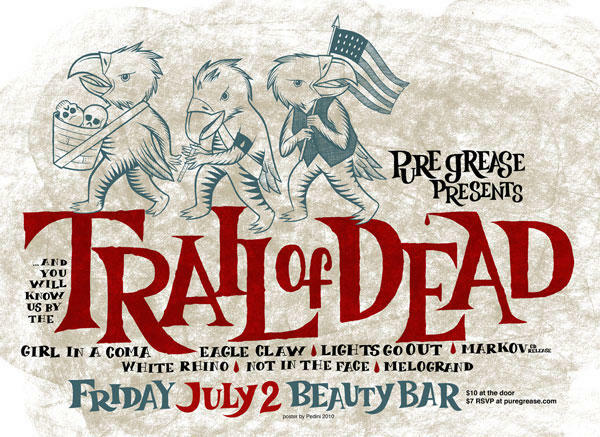 Those looking to have their faces melted this weekend should head on over to The Belmont on Saturday night for a rare performance by Austin’s own …And You Will Know Us By the Trail of Dead. What’s even more interesting about this show is that we’ll be treated to a full performance of the bands stellar 2002 album Source Tags & Codes. I’d be willing to bet a few other gems will be thrown in for encore. If that doesn’t do it for ya, this is also a record release show for ATH favorite and fellow Austin riser Ola Podrida. American Sharks will provide opening support for all. At $12, this is a no brainer. I’ll give you that this is a little bit abrasive, compared to the music I usually post about, but I still have a penchant for the heavier side of things. Unlike most bands in their area, Glaswegian group United Fruit are here to give you a swift kick to the teeth. The guitars are shredding and the vocals are reminiscent of the olden days of Trail of Dead, so you know we Austinites are going to have a liking for that. 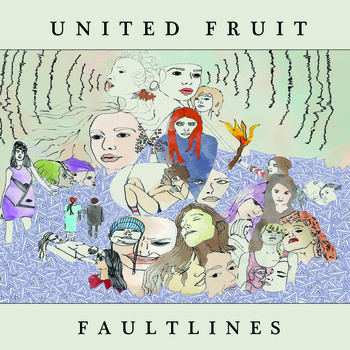 These kids have just released their new album, Fault Lines, and aside from one track (“Three”) it’s a rocker through and through. Perhaps it’s to your liking too? 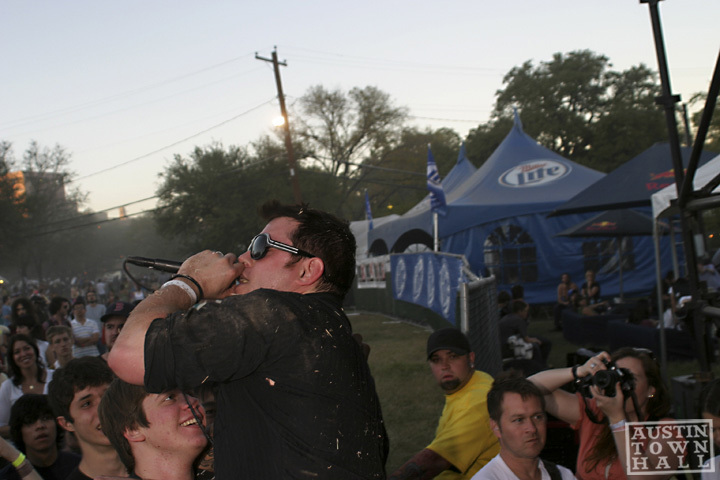 Like them or hate them, Trail of the Dead have been one of the premier Austin bands for over a decade. 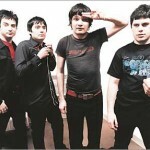 They destroyed stages and clubs, and then they mellowed out a little bit, which perhaps lost a bit of love for the band. Still, as we prepare for their new record, Tao of the Dead, we’re really excited to have some new tracks, or a new track (courtesy of RCRDLBL) to put out. It starts off with Conrad being, well, Conrad, all soft and gentle. Then, the song sort of explodes into a bombastic affair, and one that recalls the band’s angrier days. All the same, Trail of the Dead will always be a band to talk about, so we had to throw in our two cents. Brand new screen printing and design company Pure Grease have put together quite the impressive lineup for their launch party at Beauty Bar on Friday. 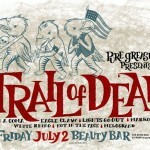 For starters, crazy good live band Trail of Dead are headlining this stacked show. The rest of the lineup includes Girl in a Coma, Eagle Claw, Lights Go Out, White Rhino, Not in the Face, Melogrand, and Markov. You can also expect some free food from Salton Sweet and a photo booth by Courtney Chavanell. 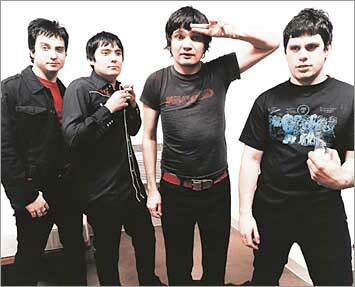 I think most of us will be about done from our Fun Fest weekend on Sunday, but if you’re still raring to go, head to Mohawk for a headlining after show by locals Trail of Dead. Joining the guys on the outside stage will be Dark Meat. Bands getting down on the inside stage are An Albatross, Au, Free Moral Agents, and Zechs Marquis. What? You still listen to THAT album? That record is so 2004! Well, that’s okay, because we really like that one too, which is why we decided to come up with a list of our favorite albums of the last decade (2000-2009). Sure, these might not be YOUR favorite records, or the most critically acclaimed, but we sat down and really thought out every record from the past ten years that we keep coming back to in our collections. You’re likely to disagree with some of these, and we won’t tell you we’re absolutely right we just know that these happen to be OUR favorites. If you think we totally blew it here, feel free to tell us so, but be nice, as our egos are kind of fragile. Follow the jump for more. 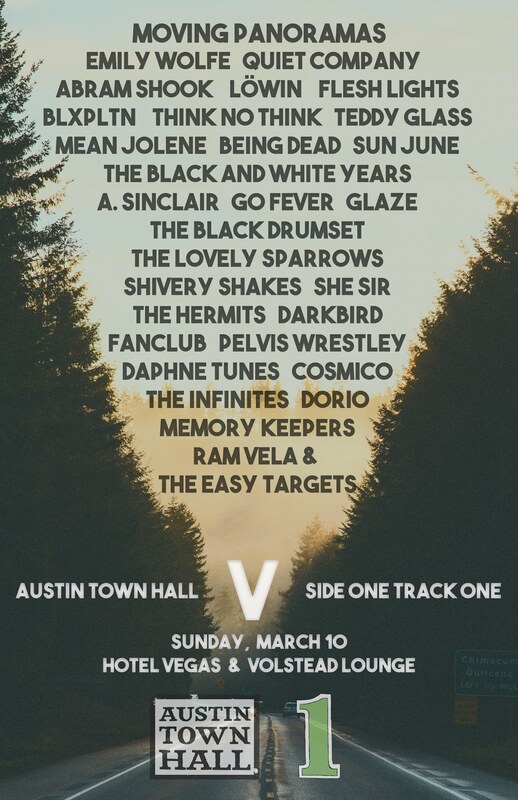 We’ve been following Austin band The Black after fellow Ausinites Trail of Dead recommended them to us so we thought they’d be perfect for our artist to watch this week. The band has been in and around Austin for quite some time now and have been playing everywhere in town that will have them. Their sound mixes some old school rockabilly with a bit more modern pop sounds and fits in well with dive bars in small town Texas. Expect a proper full length from the boys sometime in the next few months but for now check out this jam “Little Hits” from The Black’s last 45 single. If you want to see what they’re all about live, head to the Stubbs indoor stage on Saturday evening shortly after Spoon finishes their 3rd show outside. That one’s free if you have a Spoon ticket and $8 if not. As we are well into the year 2009, it’s time we take a good look at what makes the Austin music scene work so well. We’d like to say that it’s us, but we know that a whole lot more goes into the scene than the many writers and fans in the city limits. Instead, we turn your eyes to those Icons, those heralded heroes of our town; the ones that make it all run so smoothly. 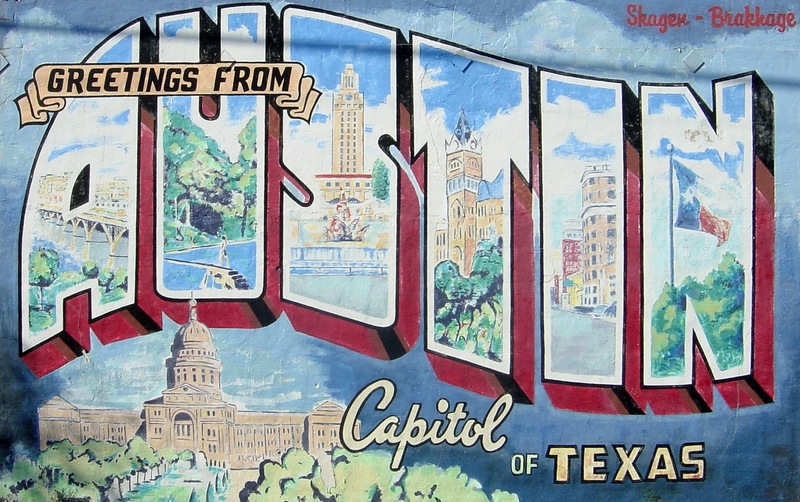 Be it a musician or producer, these are our favorite Austin Icons. We also excluded those who made Austin music famous, and then left the town for not-so-better waters. Yea, I am looking at you Britt Daniel! Why did you leave us? Just for that, you aren’t an Austin Icon; these next five characters are! Not only that, but these aren’t your grandparents Austin Icons. This isn’t Stevie Ray playing guitar, nor is this the Janis playing at Threadgills; these are your new Icons, paving the way for the new artists and the new scene! 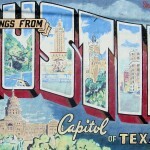 Follow the jump for our top 5 new Austin music icons. We took loads of photos during SXSW and wanted to share just a few of the better ones with you. We had some camera trouble during the week so we didn’t get everywhere we wanted to be, but we hope you like the shots we made out with. 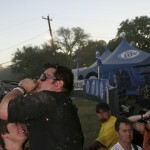 Our goal was to give you an idea of what SXSW is like with pictures of bands, crowds and people. Pictures of our showcase will be up for your enjoyment tomorrow. Follow the jump to see some random photography from our insane week of SXSW fun.